Brownies are always welcome, whether as an after school treat or as a nice surprise tucked into a lunch box. And there are so many things you can do with them! These brownie recipes are all quick, easy, and very delicious. The key to making the best brownies is to measure the ingredients correctly, make sure your oven is accurate, follow the directions to the letter, and bake them just until done. Over baked brownies are dry brownies! Have fun making these brownie recipes and challenge yourself to think of new combinations you and your family will love. 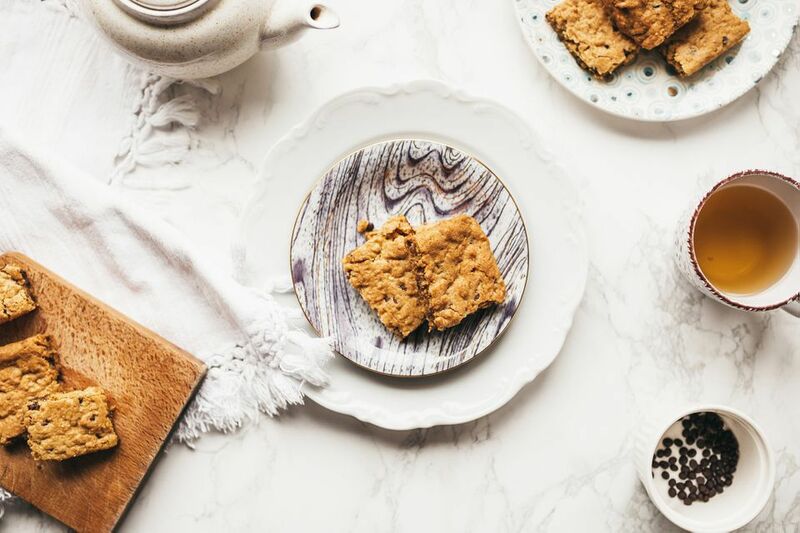 They say blondes have more fun, and we think that's definitely true with these delicious chocolate chip and walnut blondies. This is the blondie recipe that will change the minds of anybody who says that chocolate brownies are better. If you're looking for a fast fix for your brownie craving, this microwave brownie recipe is a lifesaver. In just under two minutes, you'll have a serving of warm fudgy brownie. Mug cakes are the future of easy cooking, make sure you don't miss out. These brownies taste like a combination of brownie, fudge, caramel, and peanut butter. You have to cut them into 1" squares because nobody can handle a bigger piece. These brownies are an awesome way to jazz up a bake sale with something unexpected. This wonderful recipe is for brown sugar lovers. The rich and chewy brownies are topped with a caramel frosting and butterscotch for even more decadence. Be sure not to overbake these brownies, however, because they're prone to losing moisture and becoming dry. For something a little bit healthier, try these apple brownies. Include chopped pecans and walnuts, and some brown sugar for some light caramel taste. You won't even miss the chocolate! Try your hand at these completely indulgent cream cheese swirl brownies for your next party or event. Your guests simply won't believe you made them from scratch, and you won't believe how easy they were to make! Halva is a sweet candy with roots in West Asia, Central Asia, and the Indian sbcontinent. For something off the beaten path, these brownies with crushed halva are unique and tasty. While these sweet treats may not be "brownies" in the strictest sense, they sure are amazing. Pumpkin and cheesecake are a winning combo, and we highly reccomend trying out these pumpkin "brownies" the next chance you get. This recipe is so simple, you'll wish you thought of it first. The key to these mint chocolate chip brownies is peppermint extract and just a little bit of sea salt for an extra kick and advancement of flavor. If you think molasses is old-fashioned, you'll definitely change your mind after trying just one of these molasses walnut brownies. While you can easily trade out for pecans, the combination of molasses and walnut is unbeatable. For a party snack, full sized brownies might be a little intimidating. For effective portion control and maximizing the production of a recipe, make these easy bite-sized brownies. These wonderful brownies are creamy and velvety because the sugar is boiled with butter and water so it dissolves completely. For the frosting, just melt peanut butter and chocolate chips together, easy as pie. Looking for the guilt-free solution to your brownie craving? Here it is! These brownies made with sweet potato puree are so delicious you'll forget all about regular high calorie fudge. German chocolate brownies are fudgy, with a delicious topping of brown sugar, nuts, and coconut that is broiled to chewy perfection. These are a classic Christmas brownie so serve at your cookie exchange or holiday party. If you haven't tried to make cake pops yet, here's your chance. Brownie pops differ in being fudgier, which also make them easier to mold. Decorate with some sprinkles or nuts and you've got an adorable and tasty dessert. Caramel? Peanut Butter? AND fudge? What could be better than all three flavors combined in one simple brownie recipe. The peanut butter will make these brownies extra rich, so be sure to wash them down with a glass of milk. This brownie recipe is a simple spin on the kind that comes out of the box. When you're short on time but want to make a splash, try these boozy brownies with either rum or bourbon. For your gluten-free family or friends, the dessert table can be tempting. Make sure everybody feels included by making a plate of these gluten-free brownies, which, dare we say it, might be even more delicious than their flour-y counterparts.